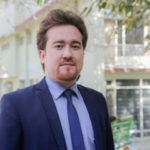 In addition to his work experience with Canada Health Center, Kateb University and Kabul University, he has several other work experiences in the related field since 1996. 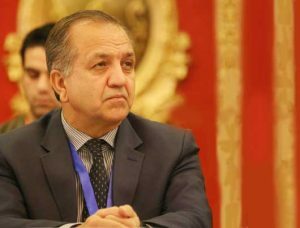 From 2009 to 2016, he has worked as Cardiologist and Director of Kabul Medical University Research Centre Kabul, Afghanistan. Prior to this, he has worked as a Cardiology Associate, Cardiopulmonary Department at the Windsor Regional Hospital Ontario, Canada for 8 years. At the same time, he worked as part time Cardiology Associate at Dr. Jina Cardian Clinic in Windsor – Ontario, Canada. From 2001 to 2002, Dr. Naebkheil worked at Regina – Saskatchewan, Regina General Hospital’s Catheterization Lab as a Cardiovascular Associate in Canada. From 1993 to 2002, he was a research associate at Canadian Heart Research Centre – CHRC at ST. Michael Hospital Toronto, Canada. Part of his major responsibilities as a research associate were to interpret ECG, scan halter monitoring, measure qualitative coronary angiogram, prepare database for studies. In 1996 and 1997, he worked as Head of Cardiology Diagnostic Department at Abu Ali Sina Hospital’s Sadri Wing.